I don't know what has happened, but SOMEHOW I've ended up buying more beauty products even though I already have a ton spare. 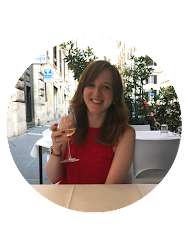 It was a mixture of things that were on offer, my favourites and products that I actually need! You'll soon see I have an addiction to cleansers, trying all different types to find the perfect one for me. I've long been a fan of the Superdrug Vitamin E skincare range for their great prices and results. 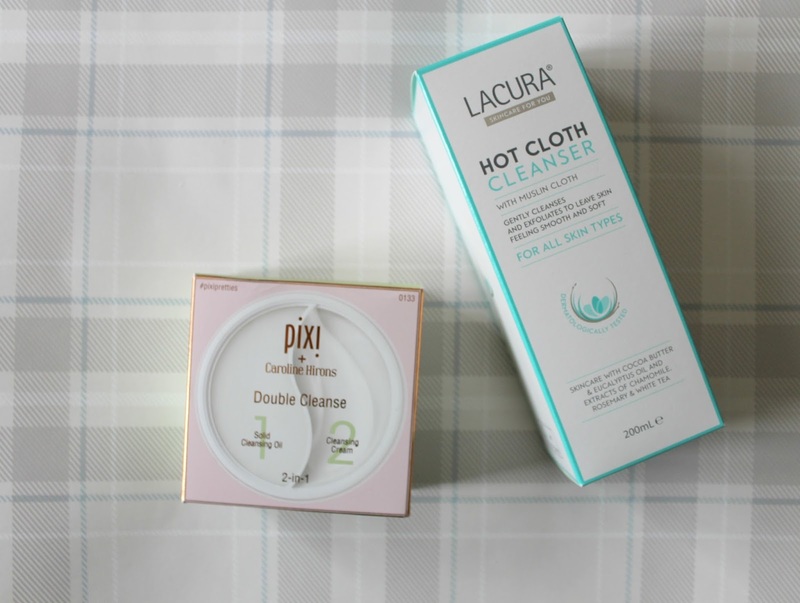 I've tried their Hot Cloth Cleanser before (a fab affordable alternative to Liz Earle and high end brands!) and am currently using their eye cream version which is super lightweight and hydrating. You could have no idea how hard it is to find a half decent facial oil that isn't crazy expensive, but eventually I found the Superdrug Vitamin E Facial Oil on Buy 1 Get 2nd Half Price offer and it was fate. The oil has an easy pour/dropper and smells gorgeous, I'm yet to try it but I'm sure I'll love it! 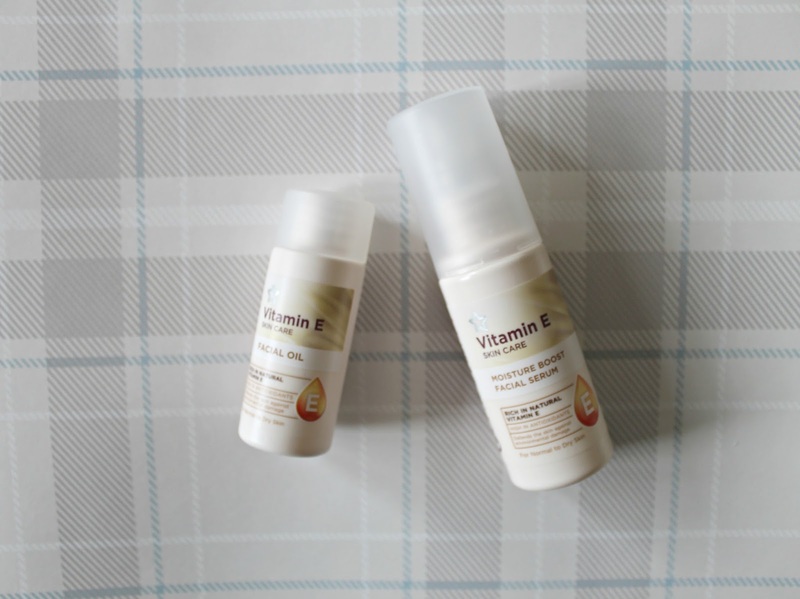 Because I love a serum too, I picked up the Superdrug Vitamin E Moisture Boost Facial Serum. I think it'll be fab for my skin as it's said to protect against environmental damage and boost hydration levels in your skin. I go through showergels like they're going out of fashion and am always trying new scents! Korres has been a favourite skincare, makeup and bodycare brand of mine even since I discovered it. They have so many scents but I haven't tried their classic Santorini Vine Shower Gel, which is hard to describe but it does smell slightly citrusy and light. Up next is a bargain from Poundland and it's the Radox Feel Uplifted with Pink Grapefruit and Basil Shower Gel. I first tried this when I went travelling to Malaysia and smelling it now reminds me of that trip! It lasts for ages, is perfect for shaving and the scent really does last on your skin. As mentioned before, I am always on the hunt for my holy grail cleanser and it's a continuing battle of research and testing (all in the name of beauty!) 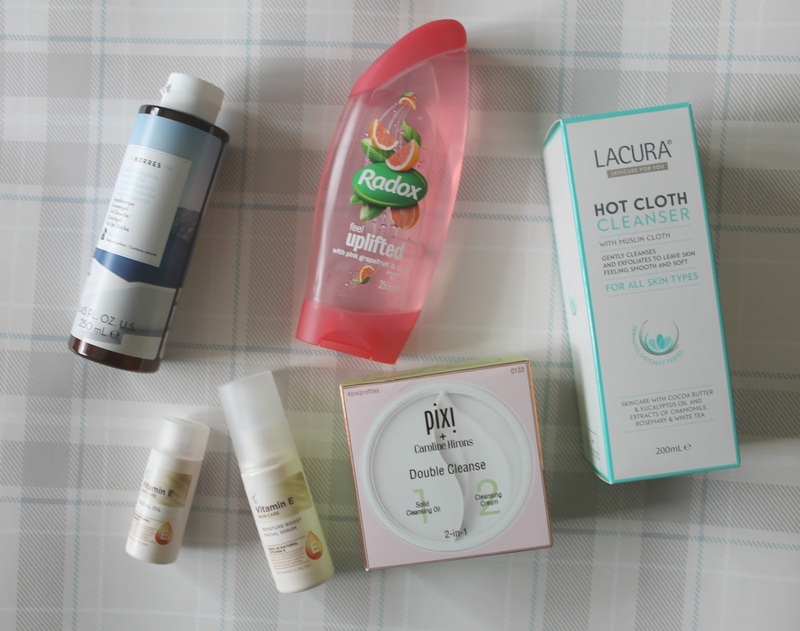 I recently had 20% off Marks & Spencer which included beauty and I had been eyeing up the Pixi + Caroline Hirons Double Cleanse for a while and decided to treat myself. There's a Solid Cleansing Oil on one side which I haven't tried before and a Cleansing Cream on the other side. I love Pixi and trust Caroline's recommendations, so I cannot wait to try this. Last year I wrote a blog post about comparing the Liz Earle Hot Cloth Cleanser to the budget Aldi Lacura Hot Cloth Cleanser. Aldi's cleanser kept selling out and made it's comeback earlier this year. Of course for a couple of pound I had to buy this cleanser again, it really did help remove my makeup and make my skin feel so soft again. What skincare have you bought recently? Have you tried any of these products before?